Wayne State University Professor Stephen Spurr will discuss wages and income mobility in the United States in the wake of the 2008 financial crisis when he presents the fourth annual Harold Hotelling Memorial Lecture on Thursday, Nov. 7, at 7:30 p.m. at Lawrence Technological University, 21000 West 10 Mile Road, Southfield. The annual lecture, which is free and open to the public, is entitled “The Fruits of Our Labor: Wages and Income Mobility in the U.S.” It will be held in the Mary E. Marburger Science and Engineering Auditorium in the Science Building. This year marks the fifth anniversary of the financial meltdown of the American economy. Recovery has been slow, and there is increasing concern about inequality of incomes and wealth in the United States. How does the growth of the U.S. economy compare with other countries, and how are U.S. workers doing compared to the rest of the world? Is America still the land of opportunity and upward mobility? Spurr will also look at how income distribution affects family life. How do married couples juggle careers, housework and childcare? What is the effect of women across the world becoming more career-oriented? 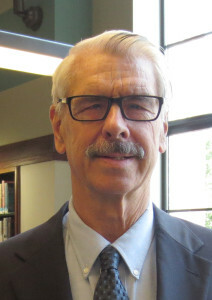 Spurr, who is chair of Wayne State’s Department of Economics, has a JD from the University of Michigan Law School and a PhD in economics from the University of Chicago. His primary research interests are in the areas of labor economics and the economic analysis of law. He has published a textbook on the economic analysis of law in addition to articles on a wide variety of social issues. The annual Hotelling lecture honors the memory of Associate Professor Harold Hotelling, who died in 2009 after teaching at Lawrence Tech for 20 years. He taught courses in business law, business ethics, constitutional law, urban social issues, and law and economics. He is remembered for his keen intellect, tireless devotion, quick wit and wonderful sense of humor.